Doda (Jammu and Kashmir) [India], Mar 9 (ANI): Youth queued up in large numbers at Doda stadium to get selected into the Territorial Army. Most of them said they were enthused by the valour of IAF pilot Abhinandan Varthaman. Hyderabad (Telangana) [India], Jan 29 (ANI): A shocking incident has come to the fore in Telangana, wherein individuals who arrived for being recruited into the Territorial Army are forced to sleep on pavements owing to lack of basic facilities. 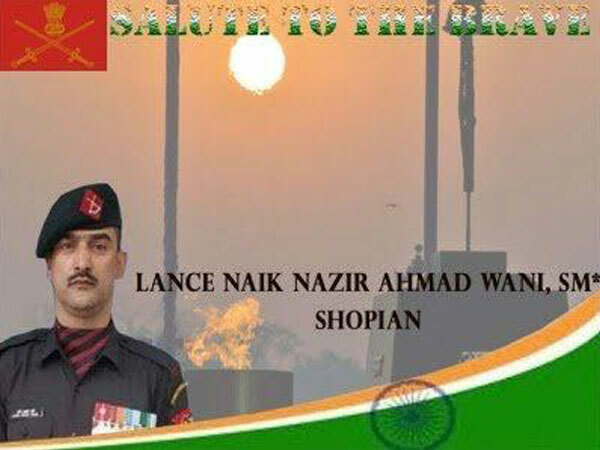 New Delhi [India], Jan 24 (ANI): Kashmiri militant-turned-soldier Lance Naik Nazir Wani, who got martyred while killing 6 terrorists in an operation in the valley, has been chosen for this year's Ashok Chakra, the highest peace time gallantry award. New Delhi [India], January 14 (ANI): Giving a boost to organ donation, an entire Indian Territorial Army (TA) unit has pledged to donate their organs. New Delhi [India], Nov 25 (ANI): Jammu and Kashmir Chief Minister Mehbooba Mufti on Saturday condemned the killing of a Territorial Army soldier Irfan Ahmed Dar at Shopian in the state.